Property 52: Studio Apartment Ian + Summer card + free guest parking & unlimited fast Wi-fi. 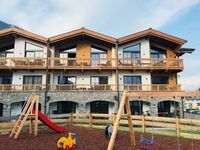 Atmospheric and spacious apartment near Zell am See and Kaprun with wellness area. 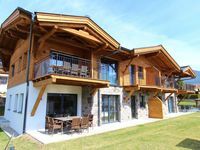 Property 53: Atmospheric and spacious apartment near Zell am See and Kaprun with wellness area. 3 bedroom accommodation in Fusch a.d. Glocknerstr. Property 84: 3 bedroom accommodation in Fusch a.d. Glocknerstr. Location is nice, staff are friendly, the building is so new they just open in August 2018, some constriction going on there next to you but it&rsquo;s ok it didn&rsquo;t bother me at all, I would definitely book the same apartment again if I&rsquo;m going there. Had to buy our own dish soap to meet requirements. Location is breathtaking. Would stay here again but check things out based on requirements before the housekeeper leaves.